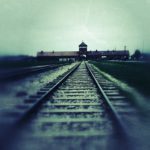 On the basis of the partially preserved camp records and estimates, it has been established that there were approximately 232 thousand children and young people up to the age of 18 among the 1.3 million or more people deported to the Auschwitz-Birkenau camp. This figure includes about 216 thousand Jews, 11 thousand Gypsies, at least 3 thousand Poles, over 1 thousand Byelorussians, and significant numbers of Russians, Ukrainians, and others. 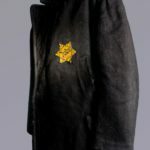 The majority of them were deported to Auschwitz along with their parents in various campaigns directed against whole ethnic or social groups. Slightly more than 23.5 thousand children and young people were registered in the camp, out of the total of 400 thousand registered prisoners. Jewish children made up the largest group of those deported to the camp. They were usually sent there along with adults, beginning in early 1942, as part of the “final solution of the Jewish question”—the total destruction of the Jewish population of Europe. 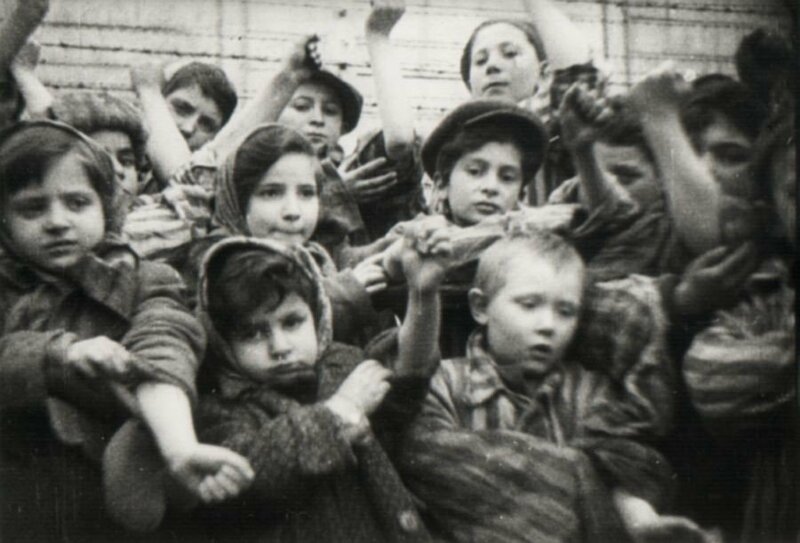 As incapable of labor, these children were sent from the unloading ramp to the gas chambers and put to death there. At times, small numbers of boys and girls were selected for labor. In 1944, because of the grave labor shortage, even children of 13 or 14 were registered in the camp and employed at places like the refinery in Trzebinia or the coal mine in Jawiszowice. From the middle of 1943, children suitable for criminal pseudomedical experiments by SS doctors, including Dr. Josef Mengele, were also selected from Jewish transports. Gypsy children and young people made up the second most numerous group. For 17 months (February 1943-August 1944), like the Jews from Terezin, they stayed in a special family camp in Birkenau (sector BIIe). Among the 11 thousand children and young people who passed through this camp, almost 9.5 thousand were under 15, and 378 children were born there. For a short time, these children enjoyed certain privileges: they could live with their loved ones, and they received slightly better food. On orders from the head SS physician in the Gypsy camp, Dr. Mengele, a so-called Kindergarten was set up in sector BIIe in the summer of 1943. It had the role of a day-care center and preschool, and featured a playground equipped with a carousel, sandbox, and swings. Dr. Mengele experimented on the children from the Kindergarten. The “privileged” position of the Gypsy children was short-lived. Catastrophic sanitary-hygienic conditions led to the outbreaks of typhus, scabies, and other epidemics that significantly raised the death rate among the Gypsies, especially the children. For some of the children, Dr. Mengele’s experiments ended in death by lethal injection of phenol so that the autopsy, the final stage of the experiment, could be carried out. 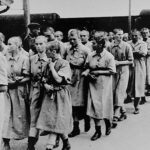 Polish children and young people arrived in the camp in transports of political prisoners. These were people who had cooperated with the resistance movement, who were being held as hostages, or who had been caught in street roundups or crackdowns on Polish youth. The first transports of Poles to Auschwitz in June, July, and August 1940 included boys of 16 and 17, and a few as young as 14. There were also Polish children among the people expelled from the Zamość region. Among the more than 1,300 people who arrived in three transports, there were at least 150 children and young people. The fate of the boys was particularly tragic. 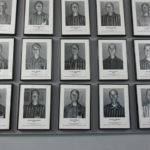 Almost all of them were murdered by lethal injection of phenol after spending several weeks in the Birkenau men’s camp. Many of the girls from the Zamość transports also died in a short space of time as a result of typhus or starvation, or were selected along with their mothers and sent to the gas chambers. The next large group of Polish children in the camp came from Warsaw, where they were detained along with adults after the start of the Uprising in August 1944. 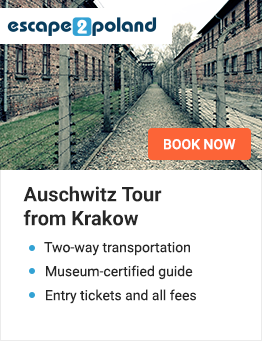 In August and September, almost 13 thousand people, including at least 1,500 children, young people, and infants, reached Auschwitz by way of the transport camp in Pruszków. There were also children among the Poles held in the camp for trial by the summary court for such offenses as food smuggling or escaping from slave labor. As a rule, all the sentences passed by this court were death sentences. 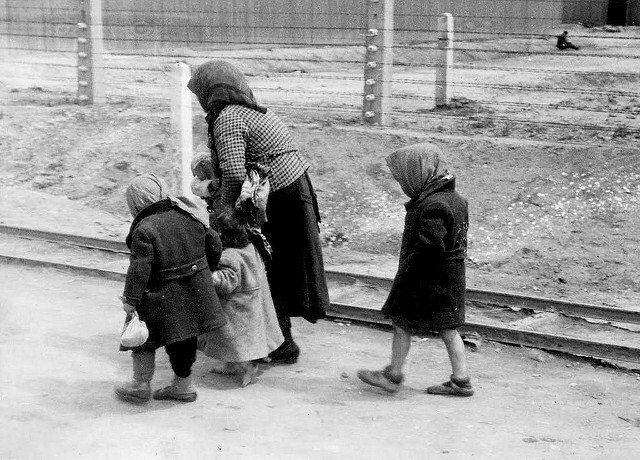 Women and four children routed to gas chamber at Auschwitz. In the early period of the existence of the women’s camp, children born there were put to death, regardless of their ethnicity, without being entered in the camp records. From mid-1943, non-Jewish newborns were permitted to live. Several days after birth, the fact was noted in the records and they were assigned camp numbers. Children born to Jewish women were put to death until November 1944, when the mass extermination of the Jews was halted. 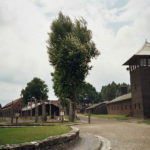 Children born in the family camp for Jews from Terezin were not put to death; there are, however, no extant records as to how many children were born there. They were all killed during the liquidation of that camp in July 1944. Where is the evidence they were put to death? It seems odd that the Red Cross wouldn’t mention this despite regularly visiting the camps and meeting with prisoner representatives.